Here's a question that I could really do with some with as I know nothing about the subject. 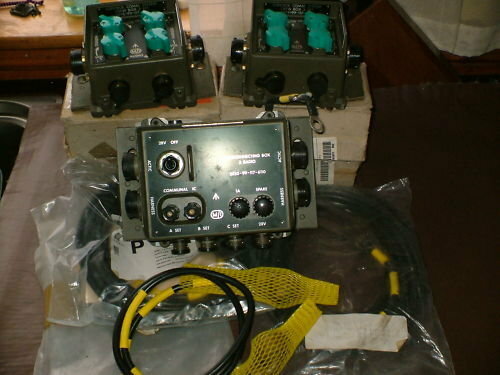 Looking forward, I am going to need some intercoms for my project panzer, what is the easiest way of achieving this. I saw this clansman radio on fleabay and although the radio side of it may not be appropriate, the throat mike and head phones would be ideal. So can anyone help. You can make a basic intercom using Clansman crew boxes. Look on eBay there are sellers who sell kits, but you only really need an IB3 and a couple of ( CB2s (Crew box 2 set) and 12 way cables etc. You could then use those headsets. Great, thanks for the reply, I will check it out. It seems a lot of boxes for the driver to talk to the commander or am I just being simple. The 2 boxes with the light green buttons I assume are crew boxes? In the original and I think in British tanks, they had a head set and mike, the Germans had throat mikes with a simple talk button on. You can tell that I don't know the technicalities, the clansman seems far too complex for my needs but maybe that's the only way to do it? If you want to use the headsets and throat mikes you posted in the first photo then these boxes are the easiest and cheapest way to do it. If you can find the cables you can make up the intercom kit yourself quite cheaply. There will be other civilian options but you would end up with modern headsets. I think that I will go for it, thanks. It may seem that I am jumping ahead but I need to plan these things in my head up front, so thanks again. The headset you first posted is specifically for the 349 radio as shown although any Clansman headset will work with any Clansman radio. I wouldn't recommend them for an intercom as you have to use the PTT (transmit) button to talk. All the other headsets use a PTT in a small box which has a switch on it for "Live Mic" which allied with the IB3 etc allows you to talk to each other without pressing buttons. Much better for all concerned especially the driver. The original picture was really just a starting point as the throat mike attracted me. I was going to get the standard headsets but could a throat mike be rigged to work with these, it's just that the Germans used a throat mike. If not then standard headsets it is. Can the cabling be extended so that I could hide the boxes as they would have been down with the radio operator? The one with ANR doesn't have the IB3 box. It isn't that difficult to rework headsets if you can solder delicate wiring. The Clansman stuff is tinsel wire and can be a pain to work with. The connections are widely available via google. I wouldn't use the pictured 349 headset in a panzer as there is only one earpiece and I suspect you'll need two if only to act as ear defenders! (I know I do in my Ferret). I'm afraid I don't know how well the throat mic would interface with the ANR system. Clansman headsets come in three flavours, infantry, B vehicle and A vehicle. The A vehicle ones, the rarest, are probably the best as ear defenders and the infantry ones the least. As one would expect. Be aware there are headsets out there without microphones, I think the come from the Warrior. Very good as ear defenders. I've no experience with the ANR system so I don't know how effective it is, others will no doubt chime in with their experiences. I strongly favour the Clansman ANR system (Active Noise Reduction). The boxes have gold coloured fronts, though for some reason not the 'Driver's Box' (which is labelled ANR if it is). Tanks are much noisier than say Ferrets and the ANR system really works. 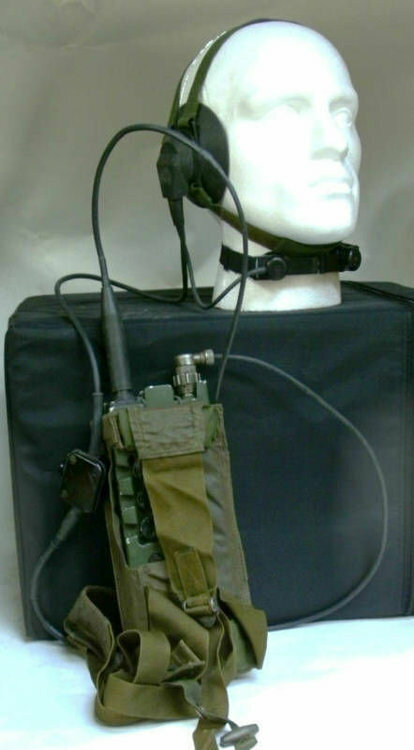 I don't believe there is an ANR headset/throat mic combination but there is, as Gordonb said, an ANR headset with no mic which are cheap and easy to find and could be used with a hand held mic, plugged into the other hole of the crew box. That would make the commander a bit less obviously modern than the standard boom mic. Thanks for your advise folks, it is really appreciated. I have ordered the ANR system and a couple of headsets with mikes attached. All I will need is some extensions for the cabling but that can wait.